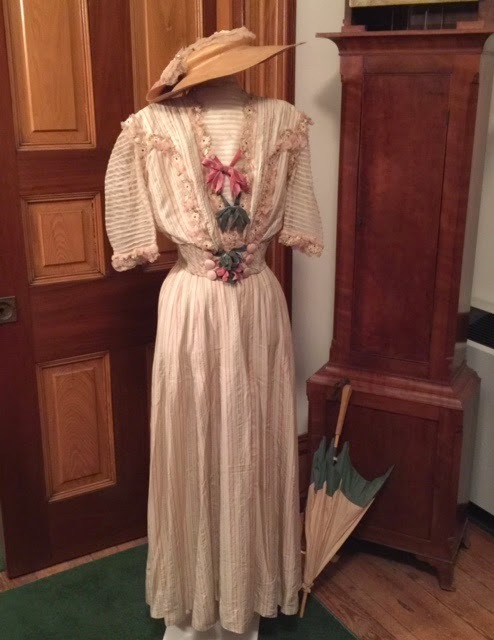 NJ Weekend Historical Happenings - 12/5/15 - 12/6/15 ~ The History Girl! Learn how Prince Albert brought Christmas traditions to England from Germany when he married Queen Victoria, and how these traditions spread to America in this richly illustrated lecture at the Episcopal Church of the Advent, Franklin and Washington Streets. Much of what we associate with the celebration of Christmas comes from the Victorian era, including Christmas trees, Christmas cards, Christmas carols and our image of Santa Claus. Admission $10 and the program begins at 2:00 pm. Sponsored by the Mid-Atlantic Center for the Arts & Humanities (MAC). For more information, call 609-884-5404 or 800-275-4278 or visit www.capemaymac.org. 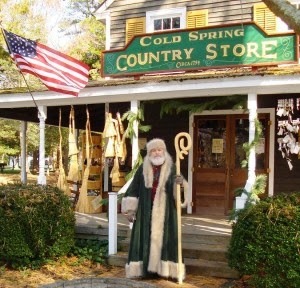 Historic Cold Spring Village opens its Homespun Holidays season with Wassail Day on Saturday from 12:00 noon - 3:00 pm. The Village paths come alive with the sounds and smells of wintertime at this free event. Select buildings will also be open where guests can enjoy hot beverages and treats served by historical interpreters in period clothing. Visitors can meet Father Christmas in the Country Store from 1:00 - 3:00 pm and enjoy a horse-drawn carriage ride throughout the festively decorated Village grounds for $3.00 per person. Guests can also enjoy live holiday music in the Welcome Center. Holiday traditions continue each Saturday in December through the 19th. The Country Store will be open from 12:00 noon - 3:00 pm and stocked with unique holiday gift ideas including traditionally-processed wool, artisan crafts for the home, books, hand-knit caps, wooden toys and old fashioned candy. Also on Saturdays, visitors can enjoy carriage rides throughout the Village for a small donation and meet Father Christmas at the Country Store. St. Nick, his elves and a jingling sleigh loaded with cookies, coal and holiday cheer will arrive at Howell Living History Farm highlighting an all-day program, "Christmas on the Farm." St. Nick's sleigh will descend from the Farm's northern slopes at 12:00 pm. Its white-bearded navigator will check Christmas lists and give out treats (or coal, as the case may be). The celebration begins when children can climb aboard a horse drawn work wagon for a ride to the woods to cut down a Christmas tree. All children will be given a chance to take a turn helping farmers cut the tree with a 2-man saw. Afterwards, all visitors can help decorate the tree with ear corn, pinecones and other natural ornaments. Helpers will be treated to hot apple cider and cookies. Gift baskets, sleigh bells, wreaths and other items will be available for sale in the Visitor Center gift shop. Featured will be handmade gifts and ornaments crafted by the Pleasant Valley Stitchers. Howell Farm is also an official drop off site for Toys for Tots. Share the gift of giving by bringing an unwrapped toy to the farm. You will not want to miss Roxbury Township's First Annual "Home for the Holidays." The Roxbury Township Historical Society will participate in an old-fashioned Christmas Market with horse drawn carriage rides, vendors of holiday items, and purveyors of food along Succasunna's pre-Revolutionary Main Street and in its historic churches. 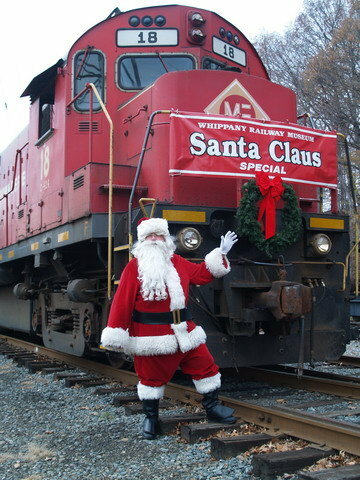 Festivities run from 11:00 am - 4:00 pm and will include a visit from St. Nick capped off by lighting of the Main Street Christmas Tree as daylight wanes at the conclusion of the events. Program at 213 Main Street, Ledgewood NJ. For more information, call 973-584-6931. Got Plaid? How about an outstandingly Ugly Holiday Sweater? Well, we appreciate that here at Absecon Lighthouse! We will "Light Up the Holidays" on Saturday from 6:00 - 8:00pm and to celebrate the season, wearing holiday plaids and ugly holiday sweaters is encouraged! Rock around the tree along with tunes provided by "PJ the DJ" - dance & sing to carols of the season, get some holiday shopping done in our charming gift shop, sip some holiday cheer of wine and beer, and enjoy light refreshments from the award winning restaurant "Tony Boloney's." A night climb to view the spectacular Atlantic City skyline at night is included. Guests will enjoy the official lighting of our Holiday Tree and have a chance to win prizes in our "Ugly Holiday Sweater" contest and "Most Plaid Possible" contest. Tickets are just $20 per person to benefit Absecon Lighthouse, and can be reserved by calling Absecon Lighthouse at 609-449-1360. Absecon Lighthouse is located at 31 So. Rhode Island Avenue, Atlantic City, NJ and is open to visitors Thursdays through Mondays, 11:00 am - 4:00 pm. For more information, call 609-449-1360 or visit www.abseconlighthouse.org. 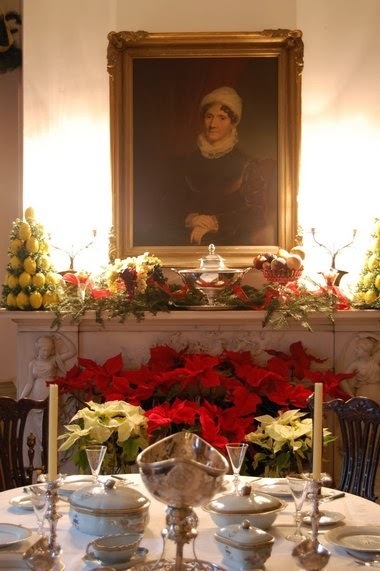 On Saturday from 12:30 - 5:00 pm, tour the magnificent 1719 Trent House Museum, decorated for the holidays by the talented members of the Garden Club of Trenton. The Trent House Museum Shop features special items and seasonal gifts. Complimentary refreshments. Beautifully designed table arrangements and decorated wreaths will be for sale, created by the Garden Club of Trenton. Plus cut Christmas trees, undecorated wreaths, and loose fresh greens (holly, ivy, yew, boxwood, juniper, winterberry, pine and magnolia). Event proceeds will benefit the curatorial work and educational programming of the non-profit Trent House Association. 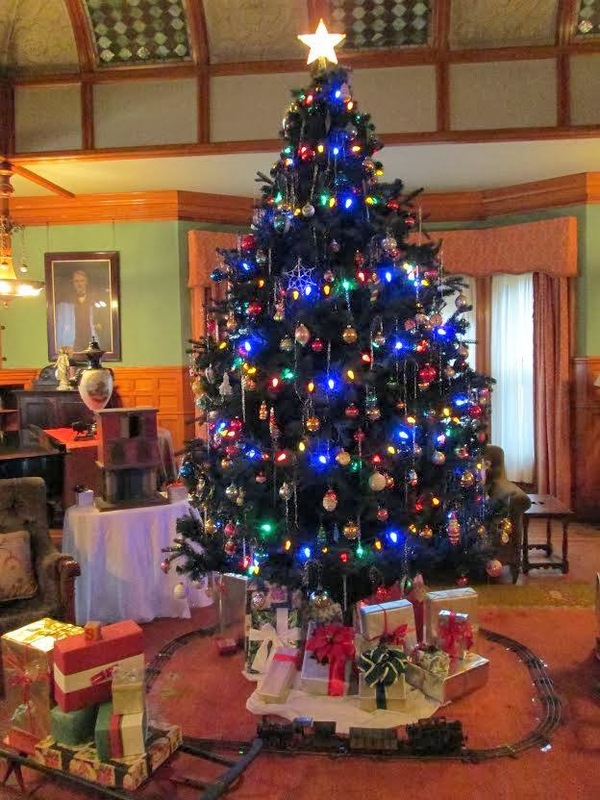 Candy canes, gingersnaps, stockings to hang; step back in time to look at Christmas from a different perspective in the Waln House at Walnford from 1:00 - 4:00 pm. The Jefferson Township Museum, also known as the George Chamberlain House, will reopen for the "Christmas in the Village" celebration. Opening hours for the Museum Christmas Weekend are 10:00 am - 4:00 pm on Saturday and 12:00 noon - 4:00 pm on Sunday. "Victorian Christmas in the Valley" is the theme of this year's decorations. The Christmas celebration is the only time the antique harmonium in the parlor is played. The museum is decorated by members of the Museum Garden Club and the Jefferson Township Historical Society. Docents dressed in period costumes will be on hand, and hot mulled cider will be served outside by the pot-bellied stove on the banks of the brook. Mrs. Santa Claus will be making an appearance. Admission to the museum is free. The Jefferson Township Museum is located at 315 Dover-Milton Road, Jefferson, NJ. Be sure to visit Miss Elizabeth's Shoppe located in the original kitchen of the museum, where small antiques, collectibles, handmade and handcrafted items will be offered for sale for your holiday shopping. For more information, call 973-697-0258 or visit www.jthistoricalsociety.org. On Saturday and Sunday, from 1:00 - 4:00 pm, the public is invited for a holiday visit of this special historic home, festively and individually decorated by South Bound Brook community organizations in celebration of the holiday season. Join the Walpack Historical Society for a "Walpack Christmas" at the Rosenkrans Museum, Main Street, Walpack Center, NJ within the Delaware Water Gap National Recreation Area. The celebration and open house will take place on Saturday and Sunday, December 5 and 6 and Saturday, December 12 from 1:00 - 5:00. On Saturday and Sunday from 11:00 am - 4:00 pm, the museum holds its 31st Holiday Weekend. Model trains and Christmas collections fill the Our Town Gallery. On the porch, the Ocean Township Garden Club sells freshly made wreaths. The Hearth and Home Gallery is emptied to make way for an expanded Museum Shop and Bakery stocked full of homemade treats and one-of-a-kind gifts hand-crafted by Museum quilters. Children search the house for hidden nutcrackers in a "Holiday Hunt." Sunday afternoon, the winning quilt raffle ticket is drawn. All this is followed by the lighting of the Township Christmas Tree on the Museum grounds Sunday at 4:30 pm. This year, there's something special. Our Holiday Weekend pays special tribute to the season we celebrate. Christmas has become an American cultural and economic juggernaut. Our talented "living history" actors explore the historical roots of its traditions. We've conjured up the spirits of Woolley family members from the 18th and 19th centuries to entertain visitors with stories of the holiday customs of their times. Phoebe Woolley, third wife of Thomas (who built the oldest part of the Woolley House) will describe Colonial Christmas. European settlers brought to the New World the holiday customs (and attitudes) of the Old. The Puritans would have nothing to do with it. In fact, in 1659, they outlawed the celebration of Christmas altogether. The Anglicans in the southern colonies were more receptive. 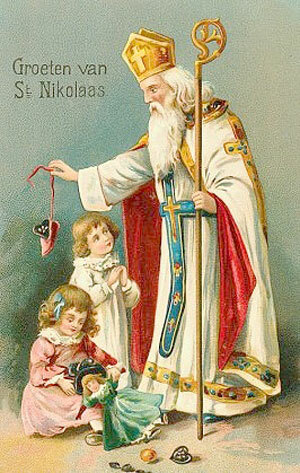 They celebrated with festive feasts, music, and gift-giving that foreshadowed today's customs. German colonists decorated with Christmas trees, as in their home country. But the custom was not widely adopted by their neighbors, who rejected its pagan roots. The Dutch brought with them "Sinte Klass," but our plump, redsuited American Santa did not take shape until the 19th century. Mary and Sarah Woolley, Eden's daughters, will be on hand to explain the customs, popularized in the 19th century, that largely define how we celebrate today. Charles Dickens' A Christmas Carol, published in 1843, was an instant best seller. It elevated public interest in the season and helped redefine it as a time of giving. About the same time, that Christmas tree the German settlers couldn't get their neighbors to adopt caught on, helped by widely circulated photos of Queen Victoria and her German husband with theirs. In 1856, President Franklin Pierce brought the first tree into the White House. On June 26, 1870, Christmas was declared a federal holiday. That same decade, Americans began sending Christmas cards. Santa emerged as a cultural icon. Gifts and gift-wrapping took center stage. Join us to learn more, shop local, and start the season in style. Recommended donations: adults, $3; children, free. Those paying their 2016 membership dues at the door are admitted free. The museum is open, free of charge, 1:00 - 4:00 pm, Tuesdays, Wednesdays and Thursday, 7:00 - 9:00 pm Thursday evenings and 1:00 - 4:00 pm the first and second Sundays of each month. The Eden Woolley House is located at 703 Deal Road, Ocean, NJ. For more information, visit www.oceanmuseum.org. In celebration of the anniversary of General Washington's arrival in December 1779, reenactors from the 2nd New Jersey regiment will be encamped at Washington's Headquarters on Saturday and Sunday. Meet one of Washington's aides-de-camp during a Ford Mansion tour and find out what the army did during the summer of 1779 and why Morristown was chosen as the site of the winter encampment of 1779-1780. Also learn about the celebration of Thanksgiving and why Christmas was not a big holiday for most Americans in the 18th century. Tours at 1:00, 2:00, and 3:00 pm. 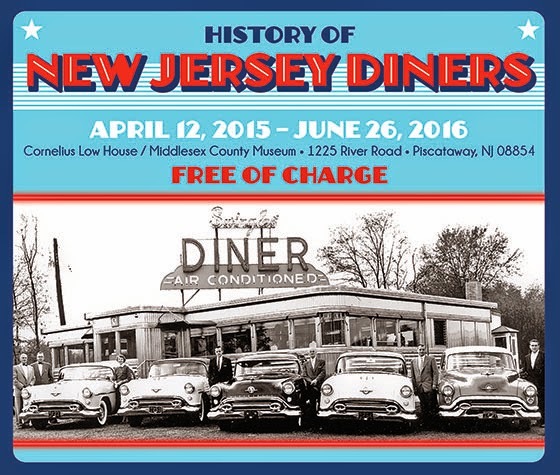 A Morris County tradition returns! Click here for more information from our partner the Morris County Tourism Bureau, who is putting on the event. During Holly Walk, the Ford Mansion will be an open house with stationed interpreters providing insight and information on the historic house. Step back in time (to the winter of 1778-79) and visit Bedminster’s historic Jacobus Vanderveer House and Museum on Saturday and Sunday when it opens its wreath-clad doors for the thirteenth annual Colonial Christmas show house and tour for two consecutive weekends. The fundraiser features: tours of the museum, which will be decorated for the holidays by Accents by Design, Bedminster Florist, and Classic Home & Garden; holiday shopping with boutique merchants and artisans; Colonial musicians and re-enactors; caroling; military demonstrations; Clydesdale wagon rides on opening day; Santa visits (1:00 - 3:00 pm Saturdays and Sundays); holiday arrangement and gingerbread house workshops; and a special exhibition of very rare artifacts discovered at the Pluckemin Artillery Cantonment archaeology dig – brass sword belt tips with the first modern depiction of the stars and stripes – as well as a collection of letters written by General Henry Knox. The Heritage Trail Association invites you to meet General George Washington on Sunday at 2:00 pm. The General will discuss his campaigns in 1776, beginning with the Battle of Brooklyn Heights and proceeding to Harlem Heights and White Plains. With great sadness he will describe the long retreat across the Jerseys after the loss of Fort Lee and Fort Washington. Hear his discussion of the crossing of the Delaware and the Second Battle of Trenton, followed by the victory at Princeton, ending the Ten Crucial Days. Sam Davis, a Mason and a Son of the American Revolution, portrays General Washington. He has participated in the reenactment of the crossing on Christmas Day and has presented at many venues, including the David Library of the American Revolution. This is a free event but reservations required as space is limited. Doors will open at 1:45 pm. The Van Horne House is located at 941 East Main Street, Bridgewater, NJ. Parking is available behind Target with handicapped parking in the Van Horne lot. Register by calling 732-356-8856, online at www.heritagetrail.org, or e-mail your reservations to event@heritagetrail.org. On Saturday, enjoy the welcoming warmth of the Longstreet Farmhouse at Historic Longstreet Farm with the backdrop of wistful music as Larry Mosser and Mary Nagen play Christmas carols on the hammered dulcimer and fiddle. This free event runs from 1:00 - 3:00 pm. Historic Longstreet Farm is located at 44 Longstreet Road, Holmdel, NJ. For more information, call 732-946-3758 or visit www.monmouthcountyparks.com.